The gaming industry is one of the fastest growing industries in recent years, and there are many ways for someone involved in the industry to use different social platforms to great effect. The gaming industry has three major companies with home consoles in competition. They are the Nintendo Wii and Wii U, the Sony PlayStation 3, and the Microsoft Xbox 360, with the PC being an outlier. Most games are released on the three home consoles, with exclusivity of console releases becoming less and less of a factor as game developers start to realize that they no longer need to segment their market by releasing their games on only one console. There is a large split in the gaming market currently, however, as there are two types of game developers. Large game studios such as Bethesda, Bungie, Electronic Arts, etc. create what the community deems Triple “A” games. These games have large budgets leading the millions, with large teams working on them, and gross millions of dollars in revenue. On the other hand, developers such as thatgamecompany, Super Giant Games, and Pop Cap Games are considered Independent Developers. These game are much smaller in scope and scale, budget is much lower, advertising is nowhere near as budgeted, and they will, if successful, typically have a cult following. The difference in the types of games reaches from gameplay to the marketing plan. Breaking into the game industry is not limited to game creation. In fact, there are plenty of ways one can be a part of the gaming industry and participate in social media surrounding the culture. In social bookmarking, for instance, most of the content being created and shared is user generated or user shared. Many of the companies that may have originally wrote the articles or have intellectual property rights to the topics being discussed have no hand in how the content is shared when brought to a social bookmarking site. Therefore, it is just as legitimate to be a fan and participate in the game industry. 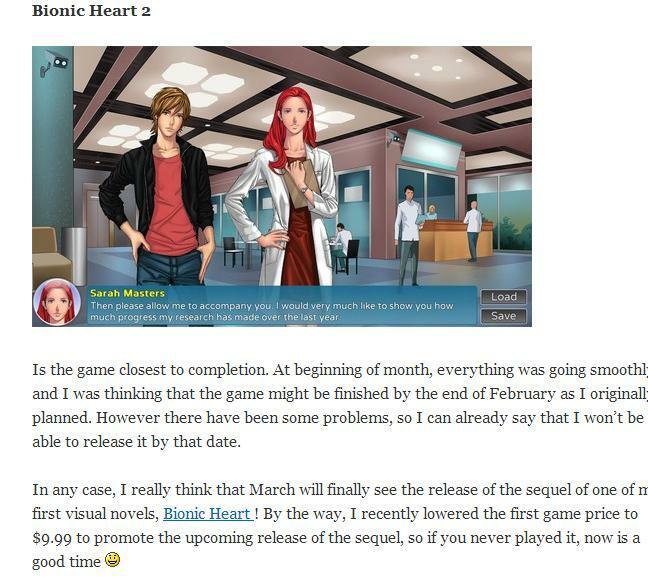 Additionally, one can review games that are already out, and many blogs are centered around this very topic. There are three types of platforms that we plan to cover in this workshop, and they are Twitter, Blogs, and Social Bookmarks. Twitter is a service of social sharing where a company or individual can speak to all of their followers in quick, 140 characters or fewer messages about whatever topic they desire. Twitter is mostly used for quick updates about a company’s game, easy interaction with fans, or quick sharing of interesting content found that relates to the company’s target market. A blog is the polar opposite of Twitter in the sense that the posts on a blog are long, involved and typically share a large amount of information with their readers. Blogs are a good way for game developers and others involved in the industry to share their opinions on games overall, or certain tidings in specific games. Social bookmarking is a separate mechanism in the sense that any type of information can be shared. From videos, to blog posts, to pictures, social bookmarking is a free for all of relevant information. Twitter as a platform is great at helping keep your audience up to date. Different companies do different things, and it depends on who your target audience is going to be and what you want your brand’s personality to be that determines the type of things that you post. This is the most important aspect of using twitter to help your game development studio, or game oriented business. Defining your social target and brand personality will dictate whether you talk to your audience very casually with small regard to your actual game, such as the Minecraft creator Notch, or very targeted, so that you only talk about your game, such as 343 Studios. Here is an example of using your twitter account to talk to your followers as if they are your friends. Notch is the creator of the wildly successful Minecraft, so he is an independent developer. As an independent developer, he does not have the corporate image that a company like Microsoft has, and so Notch is able to use twitter in both a personal manner and a professional manner. Because of this, Notch’s followers are spoken to much more personally than another company. If you are able to have a connection like this with your customer, and you do not mind having your brand image become a much more personal interaction, modeling your tweets after Notch’s is not a bad way to go. This is the Nintendo of America twitter account. Unlike Notch, Nintendo of America focuses only on their products. They do not interact with their audience directly, and use the Twitter only as a way to talk about new things that are going on. This is a more rigid way of using your social media platforms, but it has its benefits. 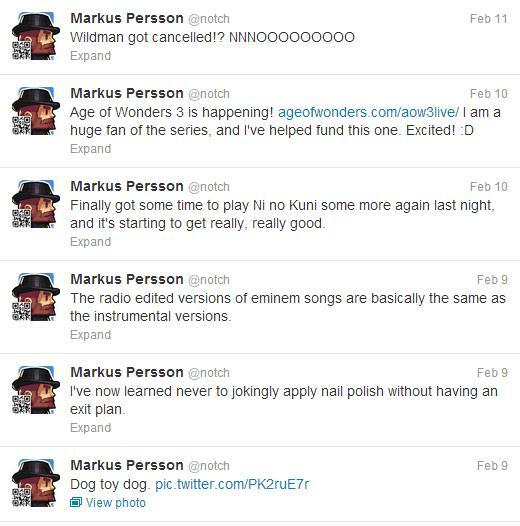 Some fans may not appreciate having their twitter feed filled with personal discussion and thoughts like from Notch. Nintendo of America gives their followers only the most relevant information of their latest products and services, which many followers may appreciate. This becomes the major difference between an independent developer and a mainstream company, such as Nintendo of America. As a company grows, it seems that their Twitter presence becomes more formal and strict with its usage. However, this again depends on your brand’s personality and your target audience. If, as a large company, your audience appreciates personal discussion, it may be better to cater to that preference. As mentioned earlier, blogging is much more involved than Twitter in the content that is shared. And again, your target audience and brand personality is just as, if not more, important. With blogging, each post you make must fully represent the personality you have decided for your social media plan. This is more difficult than for Twitter at times even though Twitter updates are more frequent. This is because the whole blog post will have to be in the style and tone of each previous post and be consistent with the voice throughout the rest of your social media presence. Winter Wolves is an example of a blog that is not a developer blog, but is involved in the gaming industry. It discusses game design concepts in games in a manner that is not about production but theory. Theory is more long winded then reviews on a game, and so this particular blog will have users that enjoy a more intense read. 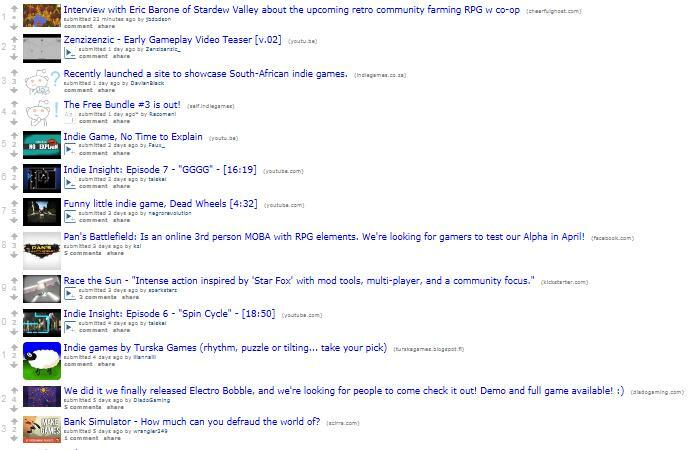 For companies, this might not be the best when attracting customers, but if you have a game that is directly relevant to advance community and there is a community surrounding your game that starts game theory discussion, following a model such as Winter Wolves is a viable way to engage your audience. The Halo Waypoint Blog is a great example of using your blog to get directly relevant information to your customers. 343 Studios will talk about new playlist updates, current competitive advantages, and funny videos that their users have created using the game. They hold contests for coolest looking picture, funniest caption, etc. 343 Studios knows their audience very well, and it is noticeable in the way that there articles get shared very often. 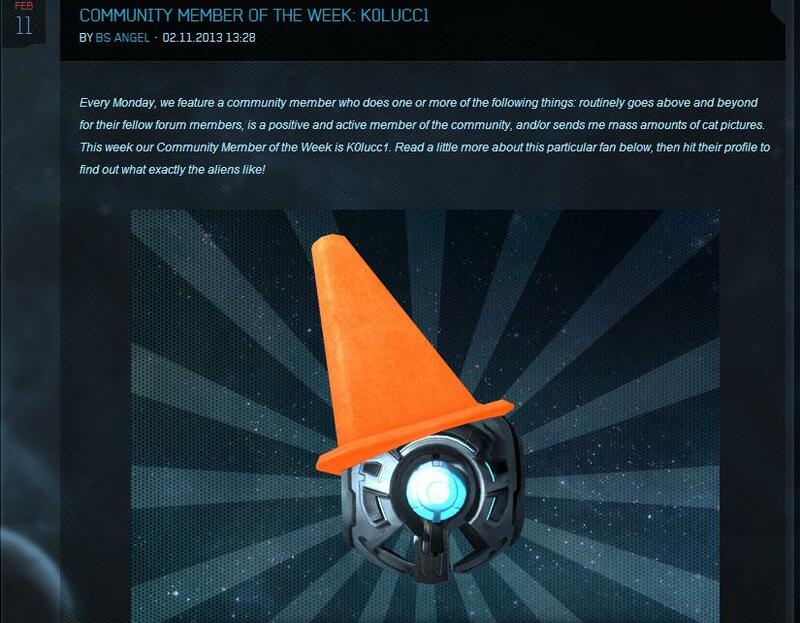 343 Studios has listened to their fans very well, and they will typically directly address the cocnerns the community is having with their game, Halo 4. Halo is one of the biggest console games of this generation, and it is important for a company with such a huge following to keep on top of the problems occurring in their fan base. If they do not, the community’s negative response can become overwhelming. Their blog does a great job at addressing these issues. 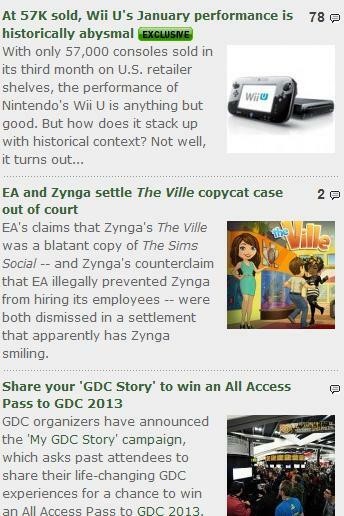 Gamasutra is a great collection of gaming news. They post articles on jobs, recent game news, and overall current tidings in the video game industry. Companies are not going to have great responses when trying to copy Gamasutra. Like many other Social Bookmarks, companies should use these sites to gauge response to their content sharing on areas such as Twitter and Blogging. These sites are great at collecting gaming news from other sites and in the industry overall, and should be used a resource by companies in quite the same way that other fans and users will use the content. Reddit is also another social bookmarking site that your company can use as a way to directly interact with your fans. Reddit is user generated, even the content that is shared is not. They will find news articles from places like Gamasutra and post them and discuss them on areas that are not your properties. Because of this, it may be wise to go onto these social bookmarking sites and discuss your properties with these users. It allows these people to interact with your brand in a more neutral area, which is important to building trust between you and the consumer. The gaming industry is a varied place when it comes to the types of companies that are present, and on social media, especially, there is no clear cut way to do things. It depends entirely on your target audience and brand’s personality. If you are a smaller developer, such as Notch, being more personal is acceptable and possibly needed. 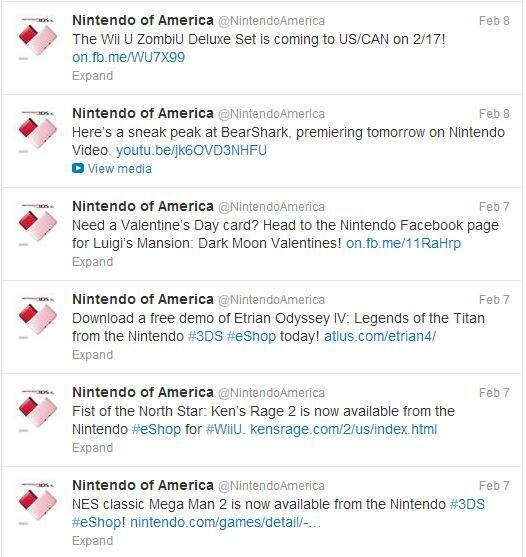 Larger companies will have a more professional approach, such as Nintendo of America’s use of Twitter. These interactions are of the utmost importance when gaining trust with your customers, and understanding how you fit in with your customer’s expectations can help define who you will be in these social spaces.